Inner Coco slab of the Grow Bag without the outer poly sack. 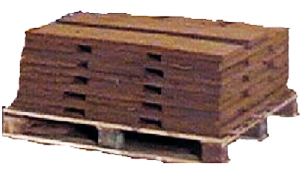 Coco Slabs can also be made out of Buffered material. 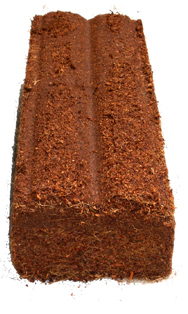 ST — GREEN Slabs consist of a mixture of Coco Peat & Coir Fibre. Available in different mixtures to choose from depending on your growing conditions & crop. ST– GREEN” Slabs are designed to hold higher volumes of water. 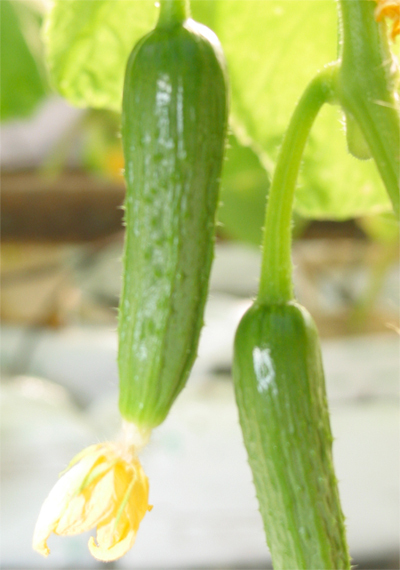 We can supply specially designed mixes for Ideal for : Cucumber, Roses & Strawberries under ST— GREEN grade. 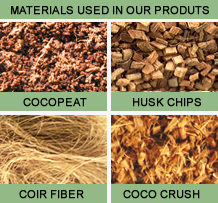 SP — RED Slabs consist of a mixture of Coco Crushed Chips & Coco Peat / Fibre. 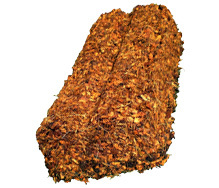 Available in different mixtures to choose from depending on your growing conditions & crop. 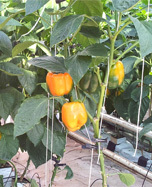 We can supply specially designed mixes for Ideal for : Tomatoes & Bell pepper under “SP- (RED)” grade. ¨ Naked Slabs can also be made out of Buffered material.